Hand carved, artist signed, 34 mm oval sardonyx shell cameo. 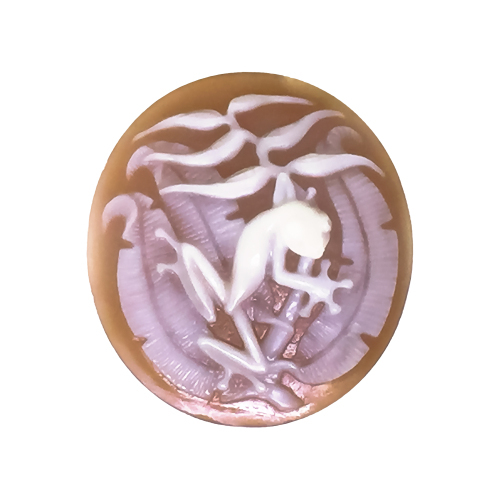 Frog on Halyconia Leaves Cameo – A hand carved, artist signed, 34 mm oval sardonyx shell cameo. Registry number 2199. Sold with a Certificate of Authenticity, Eco-friendly, Fair Trade. Please note the extraordinary detail of the halyconia leaves on this cameo, which is almost round in shape.